Infineon Technologies recently announced the availability of the TLV493D-A1B6, a 3-D magnetic sensor that features highly accurate three-dimensional sensing with extremely low power consumption in a small six-pin TSOP package. Magnetic field detection in x, y, and z directions enables the sensor to measure 3-D, linear, and rotation movements. The implemented digital I²C interface enables fast and bidirectional communication between the sensor and microcontroller. The TLV493D-A1B6 is intended for consumer and industrial applications that require accurate 3-D measurements or angular measurements or low power consumption, such as joysticks, electric meters where the 3-D magnetic sensor helps to protect against tampering, and more. With its contactless position sensing and high temperature stability of magnetic threshold, the TLV493D-A1B6 enables these systems to become smaller, more accurate, and robust. The 3-D magnetic sensor TLV493D-A1B6 enables smaller and more energy efficient e-meter systems. Today, up to three magnetic sensors—one for each dimension of external magnetic field—are needed to measure tampering attempts with large magnets. In future, the 3-D magnetic sensor TLV493D-A1B6 will replace all 3-D sensors thus making e-meters smaller and more energy efficient. The 3-D sensor TLV493D-A1B6 detects all three dimensions of a magnetic field. Using lateral hall plates for the z direction and vertical Hall plates for the x and y direction of the magnetic field, the sensor can be used in a large magnetic field range of ±150 mT for all three dimensions. This allows measuring and covering a long magnet movement. The large operation scale also makes the magnet circuit design easy, robust and flexible. The TLV493D-A1B6 provides 12-bit data resolution for each measurement direction. This allows a high data resolution of 0.098 mT per bit (LSB) so that even the smallest magnet movements can be measured. One of the main development goals for the TLV493D-A1B6 sensor was low power consumption. In Power Down mode, the sensor only requires 7-nA supply current. To perform magnetic measurements, the sensor can be set in one of five different power modes. In Ultra Low Power Mode, for example, the sensor performs a magnetic measurement every 100 ms (10 Hz) resulting in a current consumption of 10 µA. The time between measurement cycles can be set flexibly allowing system specific solutions. Using the sensor with continuous measurements, the maximum power consumption is only 3.7 mA. Also, the power modes can be changed during operation. The TLV493D-A1B6 uses a standard I²C digital protocol to communicate with external microcontrollers. It is possible to operate the sensors in a bus mode to eliminate additional wiring cost and efforts. Targeting industrial and consumer applications, TLV493D-A1B6 can be operated on supply voltages between 2.7 and 3.5 V and in a temperature range from –40°C to 125°C. The product is qualified according to industry standard JESD47. 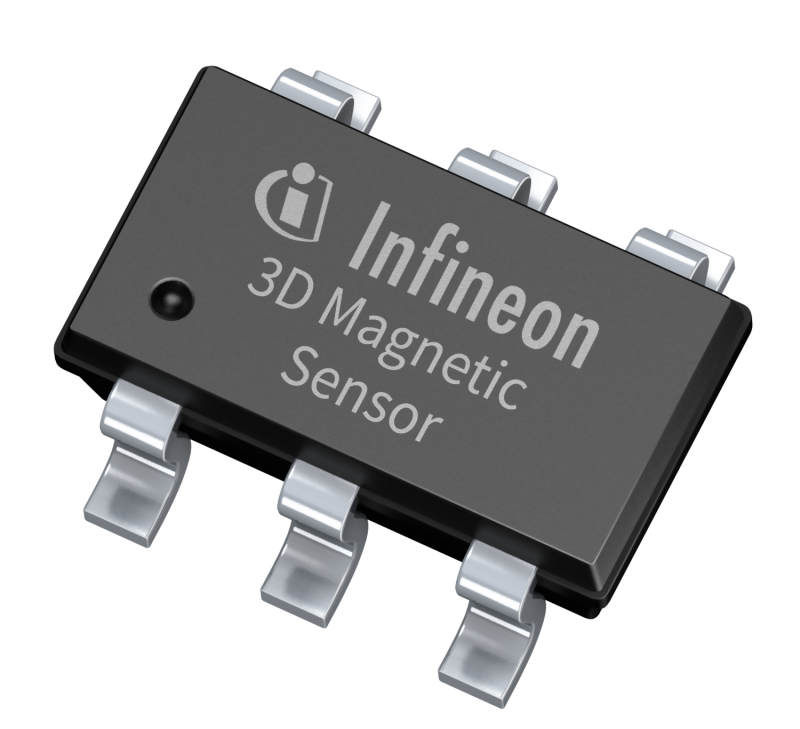 For a fast design-in process, Infineon offers the “3D Magnetic 2Go” evaluation board. In combination with the free 3-D sensor software, first magnetic measurements are attainable within minutes. The evaluation board applies the Infineon 32-bit XMC1100 micrcontroller that uses the ARM Cortex-M0 processor. The “3D Magnetic 2Go” is currently available (www.ehitex.com). Engineering samples of the TLV493D-A1B6 designed for consumer and industrial applications will be available as of July 2015. Volume production is expected to start in January 2016. 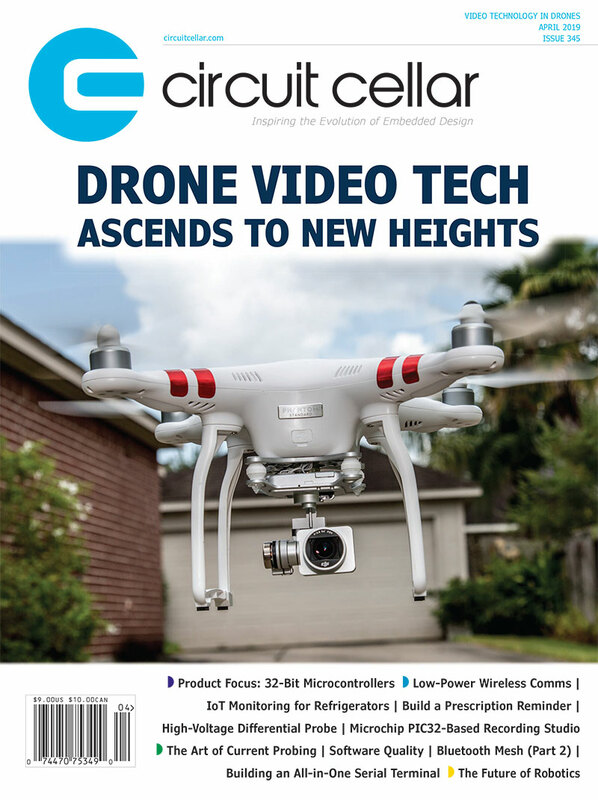 This entry was posted in CC Blog, Product News and tagged 3-D, Infineon Technologies, magnetic sensor, microcontroller, TLV493D-A1B6 by Circuit Cellar Staff.